Attention all Embers! 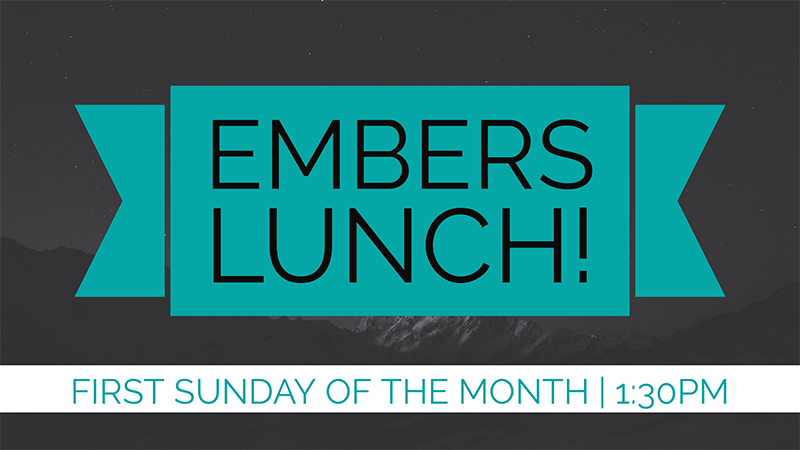 We will be indulging in food and fellowship on the first Sunday of each month after the morning service. All those aged 50+ are welcome to come join us for this month's lunch out at Aubrey's on October 7th at 1:30pm! The meal is dutch treat. See Jerry or Molly Allen for more info.